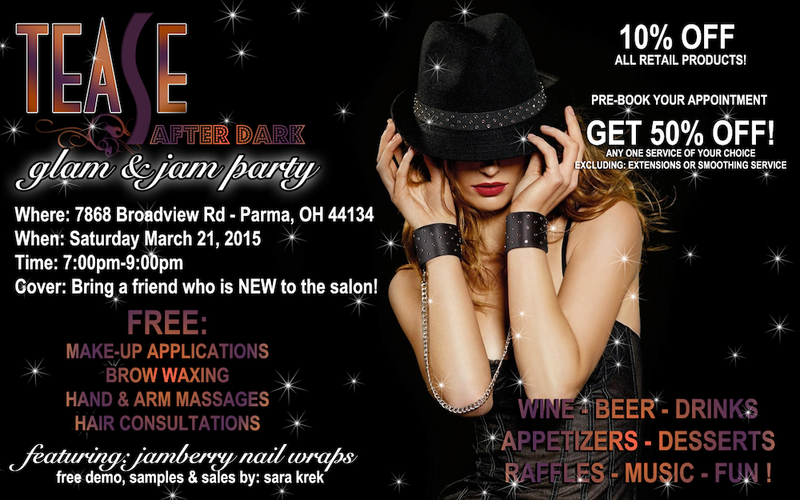 Join us for this FREE event on Saturday March 21, 2015 from 7-9pm. Anyone is welcome to come but in order to attend you MUST BRING A FRIEND THAT IS NEW TO THE SALON! It’s going to be a great time…we will also be raffling off FREE TEASE GIFT CERTIFICATES, so remember to get your ticket at the door to win!